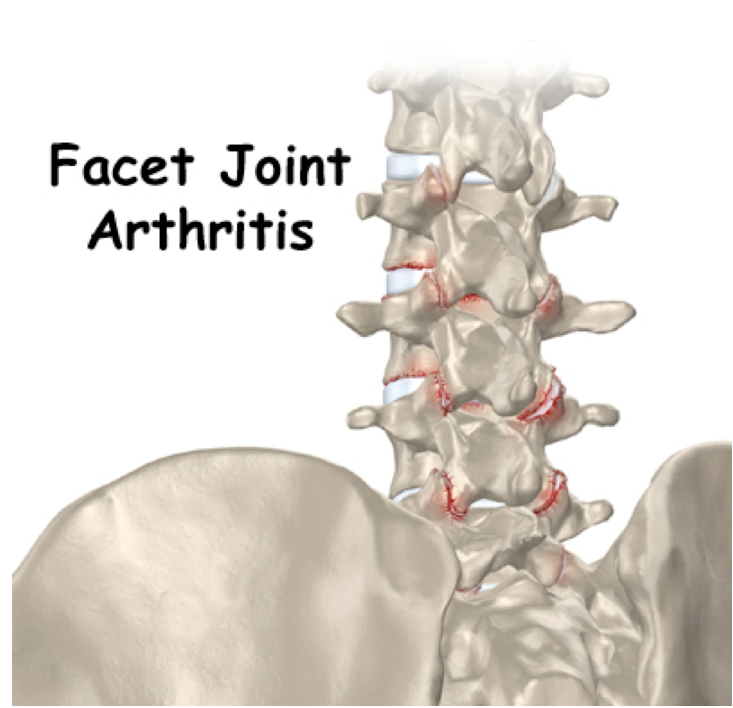 Rheumatoid arthritis, an autoimmune condition, and osteoarthritis, caused by wear and tear, are common sources of joint damage. Pain management for either of these conditions can include a wide range of medications, depending on many factors. Weight loss: For many patients, this can help remove stress and pressure on damaged joints. Activity avoidance or adaptation: Avoiding or limiting particular activities will often provide a basic level of pain relief. It may be helpful to switch some or all exercise to a different type of activity from running to swimming, for example to limit stress. Movement and physical therapy: For many patients, regular exercise that includes aerobic and strength training is important in preserving mobility. Strengthening the muscles around the damaged joint will help to reduce strain. OTC medication: In mild cases, over the counter acetaminophen or NSAIDs (non-steroidal anti-inflammatory drugs) can be an effective first-line treatment. Prescription medication: The next step includes prescriptions for higher-dose NSAIDs or specialized medicines like COX-2 inhibitors, a type of NSAID that targets a particular enzyme causing inflammation. Opiates may be used for flare-ups and other shorter term situations. Another form of medication, topical pain creams, has been shown in some studies to have over 80% rates of effectiveness. TENS units: This is a type of electrical stimulator that uses a small device connected to electrodes that are attached to the skin near the site of pain. It is thought to help interrupt or pain signals being sent to the brain and change perception. Hyaluronic acid: This is a naturally occurring joint lubricant. Supplemental injections are thought to promote both easier joint movement and repair and regrowth of damaged cartilage. In some studies, at least 65 percent of patients showed good results for up to a year. Regenerative injections: Injections of platelet-rich plasma, or of stem cells derived from bone marrow or fat stores, are newer forms of treatment that show promise for genuine repair rather than simple pain relief. Corticosteroids: These drugs block the production of the compounds that trigger inflammation. 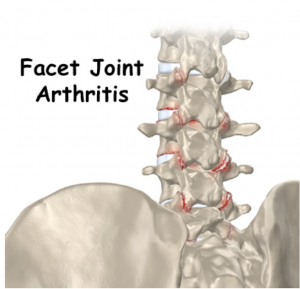 This inflammation is what causes arthritis pain. Studies have shown 75 to 80 percent pain relief by using these injections up the three times a year.In the past, they have been thought to potentially cause worse joint damage, but more recent studies suggest this is less likely to be the case. Alternative treatments: Some patients report benefits from less conventional therapies, such as acupuncture or chiropractic treatment.Although not all of these have been well studied, they are typically not harmful can be worth considering as part of an overall treatment regimen. Surgical options: As a last resort for severe arthritis that continues to limit quality of life, joint replacement might be considered. Since these parts have a limited lifespan, it may not be the best option for younger patients. There are a lot of factors to consider before starting any treatment regimen, including the severity of the case and the patient’s overall health. Pain clinics in Las Vegas work with each individual patient to determine what might be helpful and what kind of treatment the patient is comfortable with. A serious car accident can sometimes leave you with soft-tissue injuries that cause a lot of pain. Back and neck injuries, including whiplash, are common and might not become apparent until a few days after the actual accident. At that point, it’s important to get treatment to keep pain from becoming worse and turning into a chronic condition. There are different options you’ll have at pain management clinics for treating either new or long-term pain. What causes whiplash or back pain? Commonly, a rear-impact accident causes your head to snap forward and back sharply. This can cause strain and severe overextension of the muscles and ligaments in the neck. In some cases, the middle or lower back might be injured instead, through a similar process. Discs in the spinal cord can be herniated, or torn. This happens when the outer ring of the disc tears and the center portion protrudes and presses against soft tissues or nerves in the area. What are the symptoms?It can cause pain, either in the neck and upper back or radiating out to the shoulders and up to the head, along with numbness or tingling and possibly loss of mobility. This can happen even with smaller changes in velocity. Some types of lower back injuries can cause pain or similar symptoms of nerve damage in the legs instead of the back, or even trouble walking. In the case of herniated discs, pain tends to be steady, rather than coming and going the way it might with other injuries. When should you seek treatment?If a doctor did not check you out immediately after the accident, it’s important to be seen as soon as you start to develop symptoms, even if they don’t seem particularly serious. Early treatment can help you heal faster and more completely. You may want to think about getting checked out even if you don’t think you were injured, to make sure there aren’t potential problems developing. How can chiropractic treatment help? Spinal manipulation by a skilled chiropractor can help determine where your precise injury is and what the problem areas of your neck and back might be. This is especially helpful with radiating or generalized pain and other symptoms that you’ve been having trouble pinning down. Once the diagnosis is clearer, a chiropractor will help you by massaging and manipulating affected areas of the neck or back to help gently stretch and relax the injured tissue. They can help instruct you what types of exercise will be helpful, and what to avoid. They can also help to ease strain on surrounding muscles and tissues that might be affected by compensating for your injury. This can be done both by treatment and by helping you to improve posture and movement. Getting the right treatment after a car accident will be a big help in preserving your quality of life. Early in the recovery process, chiropractic treatment can ease pain and keep it from becoming an ongoing, severe problem, but later on, it can also be helpful in easing chronic pain to preserve and even regain function and movement. Pain management is typically an important component of healing from any injury. Of course, in the case of sports injuries, the concern isn’t necessarily just about returning to health. Athletes are more likely to be worried about being able to regain a high performance level. While controlling pain is by itself-helpful in regaining joint function, it’s also important to look at treatments that promote genuine healing.One newer form of treatment, platelet-rich plasma, has gotten some attention in sports medicine for its potential to help restore tissue. 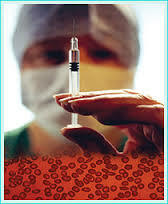 How platelet-rich plasma works: This is usually done as a minor outpatient procedure using the patient’s own blood. After this is drawn from the patient, it’s processed in a centrifuge machine that spins the blood at high speed until it separates out into different components, including plasma. This process can be done in a few slightly different ways. It typically includes adding a solution at the beginning that helps keep the blood from clotting before it can be separated. The plasma that is left when other types of cells have been removed includes high levels of platelets, the cells that help to prevent and stop bleeding and that form clots. While they’re an important part of immediate healing, these along with other growth factors are thought to help tissue repair itself, and to promote natural stem cell growth and development. The plasma is injected at the site of the injury. The effects: In the short term, there may be some increased achiness as the injured tissue begins to respond to treatment. This will subside, however. The healing process promoted by platelet-rich plasma is more gradual than other types, involving slow improvement over time as the tissue repairs itself. As important as the platelets themselves are the different types of growth factors that become concentrated, such as for connective tissue and epidermal (or skin) growth. However, the process by which this works, as well as its demonstrated effectiveness, is still being studied. Some athletes need to be careful about the details of their treatment in order to avoid problems with doping tests. Platelet rich plasma treatment can leave effects similar to human growth hormone, whole blood doping, and other banned performance-enhancing treatments. What it can be used for: Platelet rich plasma is most commonly used to help treat injuries to tendons and other types of connective tissue. It is thought to be especially helpful for the Achilles tendon or similar areas that generally get poor blood flow, making healing more difficult. Tennis elbow and golfer’s elbow, along with rotator cuff bursitis, are other forms of tendonitis sometimes treated this way. After some types of operations, including plastic surgery and oral surgery, platelet rich plasma is used to help heal other types of soft tissue and skin.It can also sometimes be used to help promote bone and cartilage repair in conditions like osteoarthritis. In some cases, it can be used for nerve injuries. Although a new technique in sports medicine, platelet rich plasma has been in use for several years now to promote healing from all of these types of injuries. Although not well clinically studied at this point, it is generally safe and often thought to be helpful. Pain management doctors in Las Vegas can discuss platelet rich plasma treatment as an option for patients who haven’t been helped by other nonsurgical treatments.